Actually, I’ve learned that if you ask nicely enough they almost ALWAYS seem to have the flavors for the seasonal offerings– they are just hidden away in cabinets. Hey, if you want a Caramel Brulee Cappucino in April or a Gingerbread Latte in June– by all means, treat yourselves. 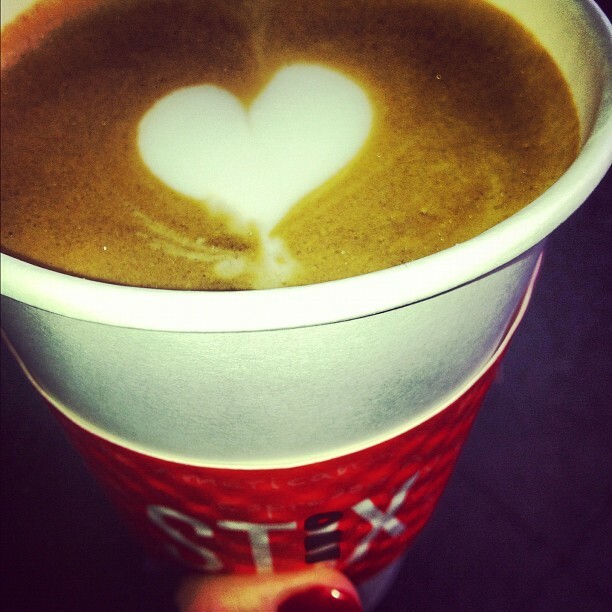 [ See what happens when you are nice to your barista- they draw hearts in your coffee] It’s the little things for me. Or scratch the whole coffee house experience and make one at home! It’s easy, really. 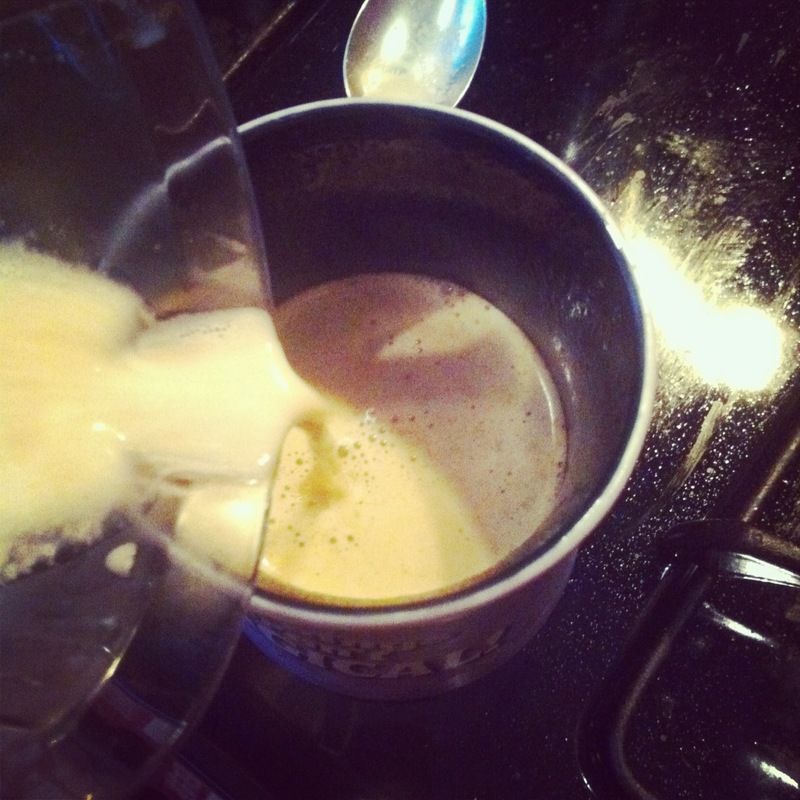 Until I get one of the espresso pots that I want — I just use my French Press: brew some extra strong coffee. Want to add some extra zing? Sprinkle some ground cinnamon in with your coffee grinds before brewing. You now have cinnamon infused coffee! Look at you go! Forget how to brew with a French Press? Here you go! 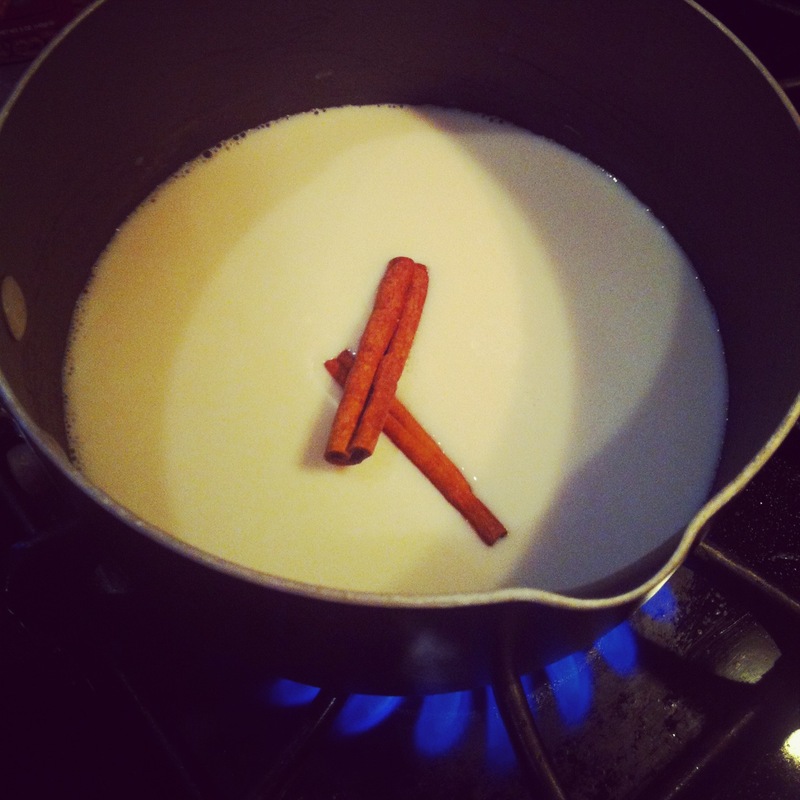 Simmer your milk, vanilla extra, and cinnamon sticks in a sauce pan until very hot, not boiling. I do not prefer any sweetener but feel free to add some sugar, splenda, agave, etc. Take your milk off the heat, remove the cinnamon sticks and vigorously whisk or get out your stick blender [my Favorite Kitchen Gadget] and carefully froth the milk. Thanks to my awesome friends at Peanut Butter & Co. – I am going to give away THREE delicious jars of peanut butter to a reader. Send me your favorite recipe that uses peanut butter and include which flavor of Peanut Butter & Co you would incorporate into the recipe. I will use the recipe that I like the most for a post next week AND send the winner three jars of their favorite flavor. These do not have to be your own personal recipes [I would like them to be! ], just be sure to send me a link to one that you like and which Peanut Butter & Co flavor that you would use! This is my favorite non-chocolate cake, and it’s always a BIG hit. I am so glad you forgot to take the jar of cinnamon raisin swirl ! I’ll return the empty jar to you!